Each year, sponsorship of the Susan G. Komen East Tennessee Knoxville & Tri Cities Race for the Cure® events provide the support necessary to fund breast cancer screening and patient assistance initiatives throughout our 24 county service area to help those in need. Your support is critical to our local efforts. When you invest in a Komen East Tennessee Race for the Cure sponsorship, you invest in the lives of the people closest to you – the people of your community… your family, colleagues, employees, neighbors and friends. Up to 75 percent of net funds raised stays right here in our 24 county, service area to support education, screening and treatment programs, and a minimum of 25 percent is contributed to Komen’s national research efforts. For more information about how to become a sponsor of the Knoxville and/or Tri-Cities Race for the Cure events, and to discuss your marketing goals and objectives, please contact: adunaway@komeneasttn.org. The Komen East Tennessee would like to thank all of our past sponsors and donors – your generosity will help us move one step closer toward our goal of a world without breast cancer! 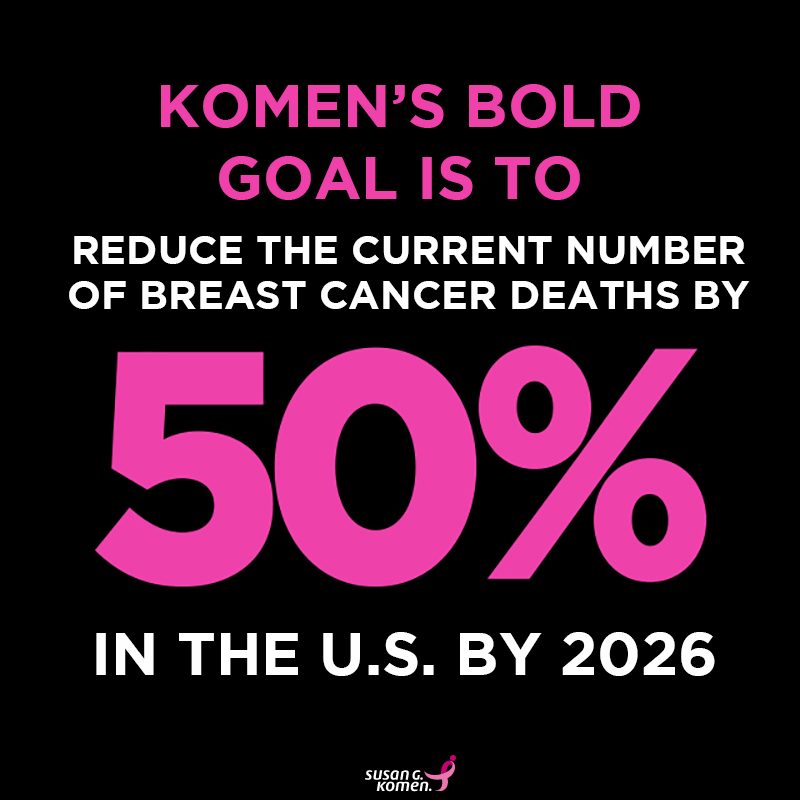 Will you be part of our Bold Goal?